Established in 1962, Mate Precision Tooling is a world-class manufacturer of CNC punch press tooling and forming applications for the sheet metal fabrication industry. We also offer a complete line of laser products and press brake tooling. Headquartered in the metropolitan Minneapolis, Minnesota area, Mate employs nearly 400 people and services customers worldwide. Mate Precision Tooling offers competitive compensation package including Medical, Dental, Life Insurance, Vacation, Paid Holidays, 401k Match, Profit Sharing and more!! This individual would be responsible for representing company products and services to existing customers and developing opportunities with new customers within the assigned territory. 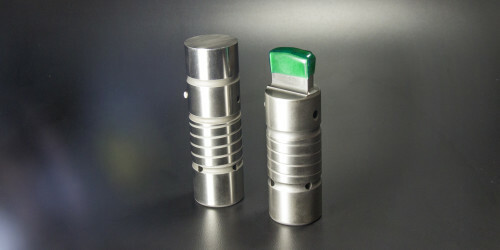 Represent Mate Precision Tooling in a professional manner. Present Mate products and services to existing and new customers. Assist customers in improving manufacturing efficiencies through proper tooling applications. Emphasize product features and benefits stressing the Mate Value Proposition. Develop a network of referrals to capture opportunities for adding new customers. Maintain a strong network of OEM dealers to enhance mutual opportunities. Manage schedule in an efficient manner to maximize customer visits. Maintain accurate records including sales visits, expense reports, customer profiles and other documentation. Provide accurate information to customer service to eliminate mistakes in manufacturing. Periodically attend training for sales and products when needed. Remain current on new product and service offerings. Be the front-line for market condition changes and share with management. To perform this job successfully, an individual must be able to perform each essential duty satisfactorily. The requirements listed below are representative of the knowledge, skills, and/or abilities required. Reasonable accommodations may be made to enable individuals with disabilities to perform the essential functions. Experience in sheet metal fabrication or operations is required for this position. Minimum of 3 years of shop experience with punch presses, lasers, or press brakes. Good team player who can also work independently. Successful industrial sales experience is a plus, but not required. Ability to utilize Microsoft products and CRM software. Willingness to travel regionally and stay overnight as needed. Live within assigned territory, preferably near the Boston, Providence, Hartford and Springfield quadrant. Local and regional travel is required. Manual dexterity to present company products features. Occasional lifting of up to 50 pounds. Ability to occasionally travel to attend training outside of territory. Exposure to changing weather conditions. This is a career position with the preeminent world leader in tooling and laser consumables for sheetmetal fabricators. We service customers in over 80 countries helping them reduce costs and improve operating efficiencies through the proper application of best-in-class tooling and services. If you are currently a sales professional or have considered a career in sales and meet the above requirements you are encouraged to submit your application for consideration.